are manufactured with high purity coconut shell carbon and are available in a wide range of lengths, diameters, and micron ratings. 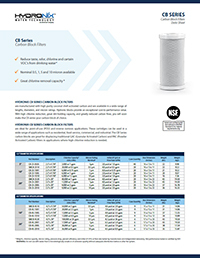 Hydronix CB Series Carbon Block Filters provide an excellent cost-to-performance value. 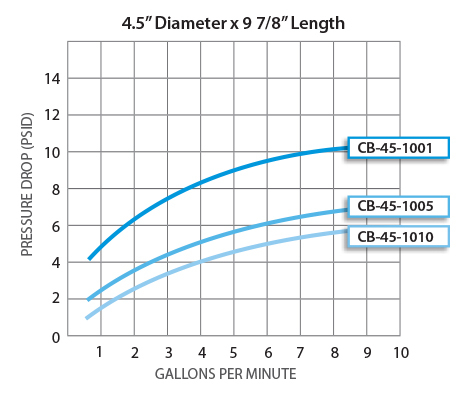 With high chlorine reduction, great dirt-holding capacity, and greatly reduced carbon fines, you will soon make the CB series your carbon block of choice. can be used in a wide range of applications such as residential, food service, commercial, and industrial. 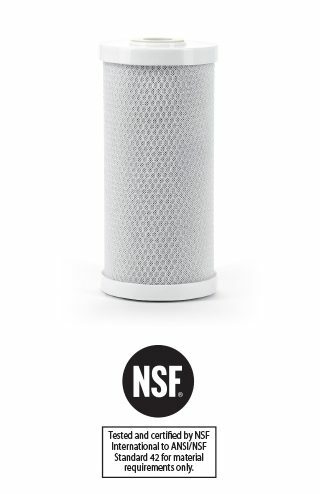 The CB Series carbon blocks are great for displacing traditional GAC (Granular Activated Carbon) and PAC (Powdered Activated Carbon filters in application where high chlorine reduction is needed. 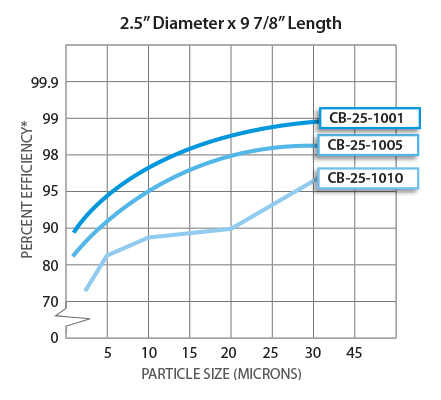 They are ideal for point-of-use (POU) and Reverse Osmosis applications.